A quest to save hope. A kingdom under a spell. A wizard in training. The sequel to The Orphanage of Miracles is filled with engaging characters, magic, adventure, and unusual circumstance. It's a story that will both entertain and inspire the reader. 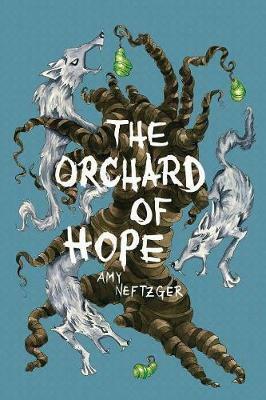 Kelsey, a strong-willed and high spirited young girl, embarks upon another adventurous quest - this time to save hope, which is being stolen from the orchard. While the kingdom is still under the spell of the evil sorcerer who distorts reality in order to gain control, the king begins training someone who he believes can ultimately defeat the sorcerer: a young boy named Nicholas, who's being mentored by an elderly and eccentric wizard who's either a genius or crazy. It's up to Nicholas to interpret the training he receives and figure out how to work with his friends to save the world.